Where can you buy knooking needles? I think its an awesome technique. Jimbo has made them before. 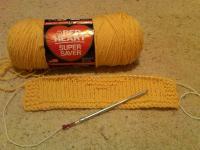 Knooking (knitting + hook) is a way to make actual knitted fabric with a crochet hook with a string attached. The string forms the second "knitting needle". You cast on to the hook like knitting, then knit or purl with the hook across the live stitches on the string. At the end of a row, the string will be in the live stitches in the row you just worked and in the finished row below - at that point you pull the string out of the finished stitches. Thank you! I will have a look later. If you are in EU countries Knit Pro makes some interchangeable cable crochet hooks that look like they would be perfect. they come with little ends that screw on (at least my harmony needles do so that stuff doesn't fall off the end with out a needle on it). 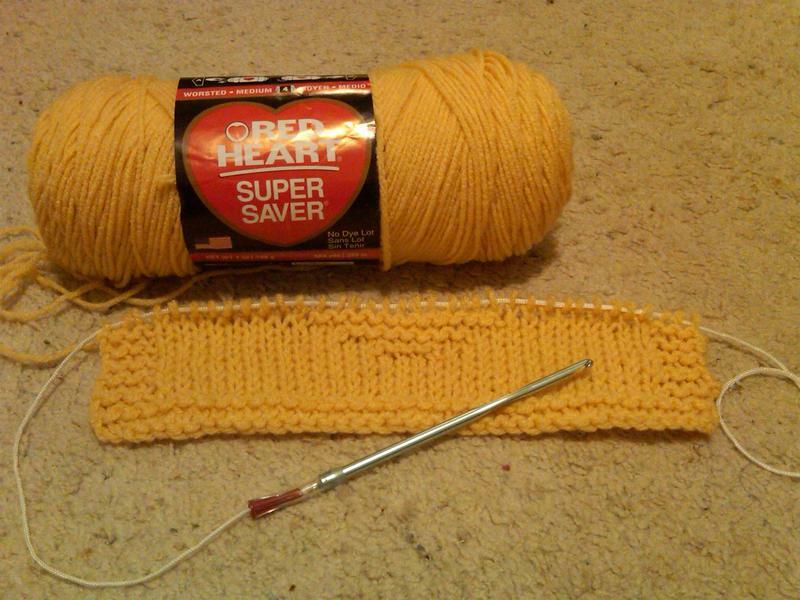 I lust for those as well as the smaller Symfonie knitting needles that aren't available in the US. They way I see it you would use the cable like the string with the ability to lock your work on and put it away because you can use 2 endcaps. teakaycee, will you share how you made the extension for your hook? Very interesting. Thanks Amy for the link to pixjen's youtube videos. Her tutorials are absolutely wonderful! My question is- Can you do this in the round as well? I'm thinking you most likely could. Very interesting. Thanks Amy for the link to pixjen's youtube videos. Her tutorials are absolutely wonderful! My question is- Can you do this in the round as well? Yep... you can... I finished sleeves on a sweater with this method. I'm thinking you most likely could. Now that is too cool! Thanks, Tammy for all the info. I may have to try this out when I get the chance!